When people want to pay a movie the ultimate compliment, they sometimes suggest that it would be just as enjoyable even with the sound turned off. Because cinema is considered a visual medium, however, the converse—that a movie would be just as enjoyable with the picture switched off—is virtually never heard, and would likely be considered more of an insult if it were. 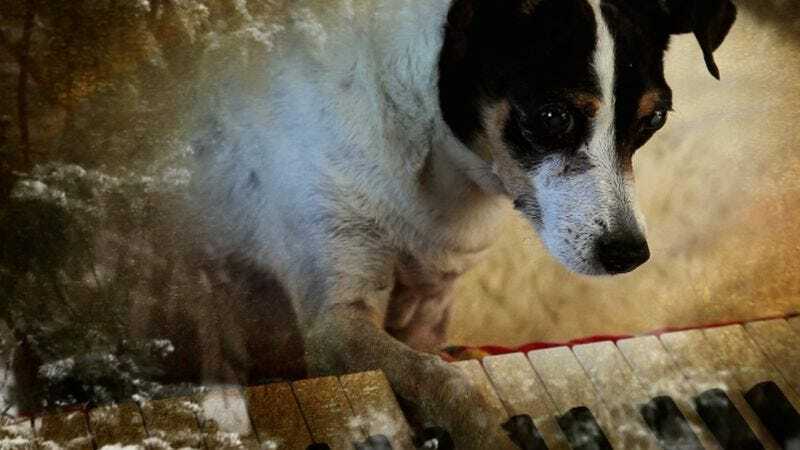 Nonetheless, Heart Of A Dog, the first non-concert feature directed by Laurie Anderson (her previous film, Home Of The Brave, came out way back in 1986), is well worth hearing, especially for fans. There’s no need to close one’s eyes or anything; the images Anderson has assembled and created for this personal essay are reasonably apt, if sometimes blandly “poetic.” But it’s her idiosyncratic thoughts, anecdotes, and assorted musings, conveyed via voiceover narration and delivered in her trademark semi-robotic deadpan, that make Heart Of A Dog a worthwhile addition to her ongoing multimedia project, which now spans roughly five decades. True to its title, the film is largely about a dog: Lolabelle, Anderson’s rat terrier, which passed away a few years ago. Opening by recounting a dream in which she gives birth to Lolabelle after first arranging to have her surgically implanted in her stomach, Anderson uses her beloved pet throughout as a springboard, digressing to a wide variety of other topics and then circling back. Lolabelle’s startled realization that danger can arrive from above, after being briefly mistaken for a rabbit by a couple of hungry hawks, gets connected to the paranoia felt by New Yorkers immediately after 9/11. More potently, and sneakily, the feelings of grief and acceptance that Lolabelle’s death provokes in Anderson are contrasted with her feelings for her terminally ill mother, with whom she had a frosty relationship. Meanwhile, Anderson’s late husband, Lou Reed, is barely glimpsed or mentioned, yet his death, too, can be felt between her words. Only in hindsight does it become clear that even apparently frivolous remarks are really about loss. Onstage, Anderson knows how to make her language-driven material visually arresting—for evidence, see Home Of The Brave, a filmed record of her 1985 tour. She’s not a natural filmmaker, though, and the accompaniment she comes up with for her narration in Heart Of A Dog alternates between overly literal (time-lapse footage of clouds when she mentions the Cloud while talking about data mining) and vaguely arty (snowflakes falling on windshields, raindrops sliding down glass). There are also some camera-phone shots of Lolabelle, most of them shot vertically. 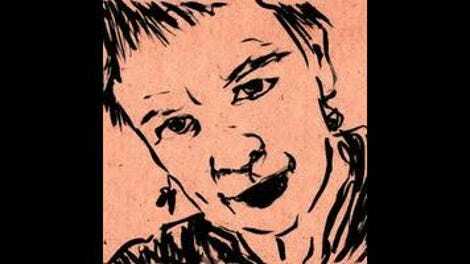 Toward the end, some 8mm home-movie footage gets manipulated in a way that’s both striking and evocative, providing a taste of what a truly great Laurie Anderson movie might look like. Mostly, though, this is a terrific Laurie Anderson album—think the spoken-word tracks from United States Live, not Big Science or Mister Heartbreak—with a serviceable visual backdrop. Damning with faint praise? Perhaps. But given the number of films nowadays that would be just as enjoyable with both sound and picture turned off, a superlative soundtrack is nothing to sneeze at.